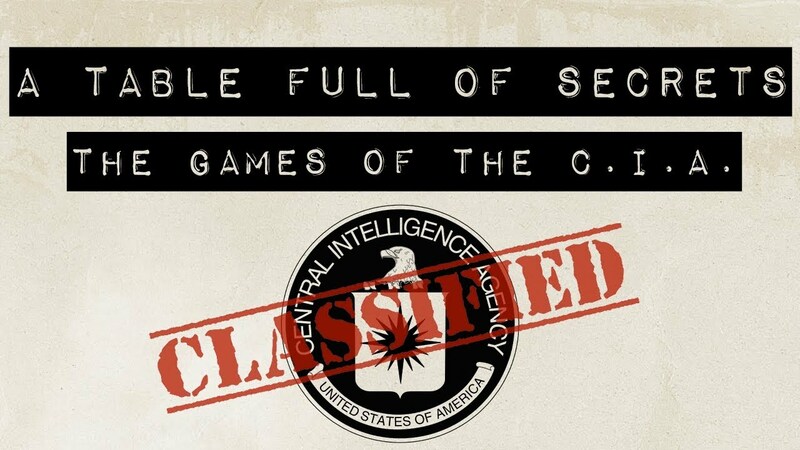 CIA Senior Collection Analyst David Clopper has, since 2008, created three complicated board games designed to test agents. They used to be a secret, but a recent public showing, along with a Freedom of Information request, has resulted in the necessary rules and paperwork being released so anyone can play. Sam Machkovech wrote a great piece on Ars Technica recently about the games, under the proviso that he played them at SXSW under Clopper’s supervision. But Douglas A. Palmer’s 2017 FOI request for more info on the games, which was surprisingly granted in full, meant that Two Bats Gaming was able to download and sort the paperwork (rulebooks, board design, card graphics, etc) needed to play not just two of Clopper’s games, but another CIA project called Kingpin: The Hunt for El Chapo as well. They decided to recreate one called Collection. And I mean recreate. As the vid below shows, they had to basically rebuild the game’s assets from scratch, which is no small feat. A co-operative game about managing multiple international crises, Collection has a lot in common with Pandemic, in that it’s about people working collectively to continually battle a disaster that is becoming overpowering, only with more of a focus on dictators than the disease. Two Bats noticed that as surprisingly fun as it could be, there isn’t as woven in as a commercial product would bother with and that it’s also a bit unbalanced, but there’s, of course, going to be differences with the games we play because this is a training tool. Clopper’s other two games are Collection Deck, which is a bit like Magic and is about gathering intel, and the unfinished Satellite Construction Kit. You can read more about them at Machkovech’s Ars story.